A current Patient Care Supervisor at South Miami Hospital, Samira Siriani brings to the American Health Council 5 years of experience within the healthcare industry, including 1 year in her present role. The AHC is recognizing Ms. Siriani’s expertise in Leadership and Medical Surgical Nursing. Graduating with her BSN from Miami Dade College in 2012, Ms. Siriani became involved in her present profession with inspiration from her family. She wanted to enter the medical field since she was a teenager, and so with support from her parents, Samira was enrolled in a magnet school with a focus in Nursing. At South Miami Hospital, Samira engages in day to day tasks within the facility, including the supervision of 12 CNA & RN’s in a 27-bed medical surgical unit, containing a total of 16 Telemetry beds. Ms. Siriani is also involved in staff training, scheduling, service recovery, and patient care plans, along with ongoing education of nursing staff. Ms. Siriani is proud to be a Board Certified Medical Surgical Registered Nurse and is honored to have been presented with the Nurse Preceptor of the Year Award in 2015. Samira is professionally associated with the American Nurses Association and the Med/Surg Nurses Association and dedicates charitable time to The American Cancer Society. Within the next 5 years, Samira will be starting a Leadership Academy called “Frontline Leaders”. Following that, she is planning on attaining her MSN in Nursing Administration. In her spare time, Ms. Siriani enjoys gardening and participating in motor sports. South Miami Hospital, currently lisenced for 453 beds, enjoys an excellent reputation for quality care in many areas such as Maternity Services, Neonatal Intensive Care Services, Robotic Surgery, and Comprehensive Cancer Programs. The Hospital and its staff stay true to the guiding principles of quality, service, safety, and diversity to deliver the best possible care. 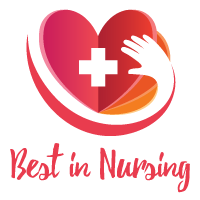 The Hospital was recognized as a Magnet Hospital for Nursing Excellence in 2004, 2008, and again in 2014 by the American Nurses Credentialing Center, a part of the American Nurses Association. It was also on Solucient’s list of top 100 hospitals in the country, based on several quality indicators. The Florida Sterling Council named South Miami Hospital a Governer’s Sterling Award recipient for 2010. This prestigious honor recognizes organizations in Florida that meet or exceed the highest standards for organizational performance. South Miami Hospital was one of three healthcare organizations in the state to receive this award. In addition, the Hospital was named the No. 1 hospital in South Florida by U.S. News & World Report from 2012 to 2013.